Construction workers could be left without hard hats on sites after life-saving laws were scrapped this week. That is the warning from leaders of construction union Ucatt who fear the end of head protection regulations could lead to contractors skimping on safety equipment. The head protection laws were scrapped as part of a shake-up in health and safety regulations as the Government moves to cut red tape. Ucatt said the previous law had seen the average number of construction workers dying as a result of a head injury fall from 48 a year to 14 a year. General secretary Steve Murphy said: “Construction workers are being placed in danger by the scrapping of these regulations. But the HSE insisted the change would not jeopardise site safety standards. Contractors will still need to comply with the Personal Protective Equipment Regulations 1992 which have been amended so that they cover the provision and use of head protection on construction sites. The HSE said: “These changes do not compromise essential health and safety protections. The aim is to make the legislative framework simpler and clearer. “HSE is taking action to raise awareness of the changes. “This includes working with the construction industry (particularly small contractors) to ensure that it understands the continuing need for employers to provide hard hats and ensure they are worn on construction sites. 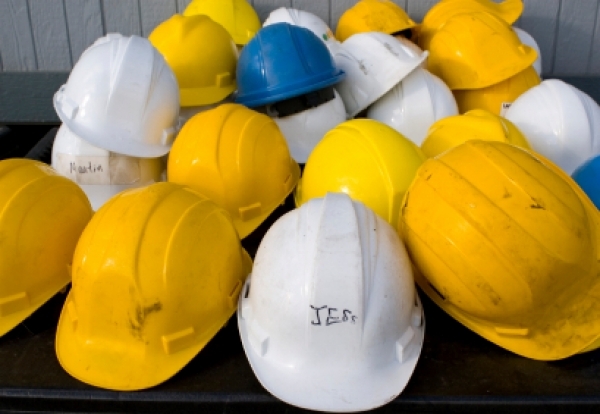 “Hard hats remain vital in protecting construction workers from head injuries. But Murphy added: “It is highly distressing that the HSE is failing to take proactive measures to ensure that workers are not placed in danger. “Hoping that the construction industry will send out a message is a complete abdication of the HSE’s responsibilities.